Boston would add 200 kindergarten seats and move closer to equipping police officers with body cameras under a $2.97 billion budget Mayor Martin J. Walsh is expected to propose to the City Council this week. The mayor’s spending plan would include money to hire a project manager for a pilot program testing body cameras, an experiment expected to begin this spring. It would also add staff members to the Boston Public Library’s special collections unit, which came under scrutiny last year after two high-priced pieces of artwork could not be found for months. Walsh’s budget would seek to aggressively rein in overtime in the police, fire, and public works departments and divert some of those savings to initiatives. The mayor’s fiscal plan reflects a $115 million — or 4 percent — increase over the previous year. Walsh said his proposal would improve city services while embracing crucial cost savings. Nearly all of the increased spending is covered by property taxes, fines, permits, and excise taxes, officials said. State aid remains mostly flat. 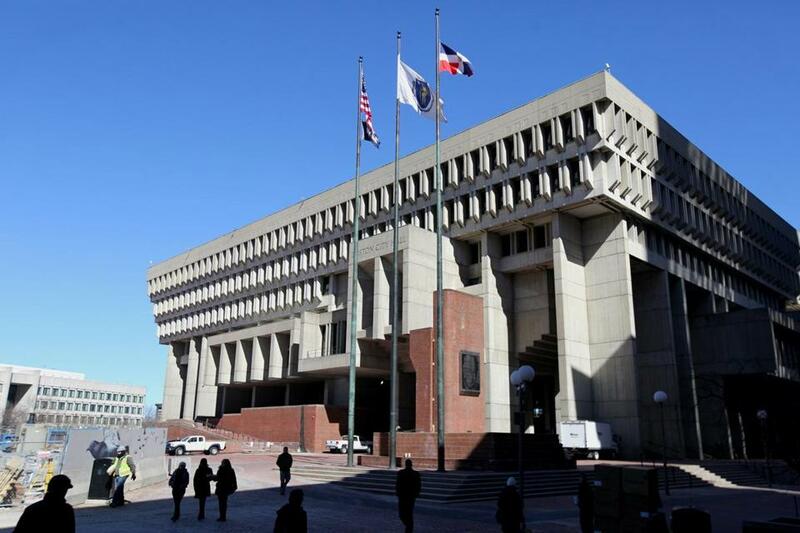 Fixed costs, including health insurance and pensions, are increasing, squeezing the overall budget, said Samuel R. Tyler, president of the nonprofit Boston Municipal Research Bureau, a fiscal watchdog. The City Council, which decides whether to approve the mayor’s budget, is expected to hold a series of hearings on the proposal, beginning April 25, before taking a full vote at the end of June, said Councilor Mark Ciommo, chairman of the Ways and Means Committee. The full budget was not made available Monday. But the mayor’s press secretary provided an executive summary, which highlighted the mayor’s fiscal priorities and outlined belt-tightening measures. David Sweeney, the city’s chief financial officer, said audits Walsh initiated after taking office identified opportunities for savings, thus making it possible to launch initiatives despite relatively flat revenue and increasing costs. Overtime, for instance, increased 34 percent for police and 17 percent for firefighters between the 2010 and 2015 fiscal years, the summary said. By the end of the current fiscal year in June, the city will have spent $60 million in police overtime and almost $22 million for firefighters, city budget officials said. Since last year, Walsh administration officials have been assessing staffing levels in each police district and closely reviewing court overtime spending in an effort to curb costs. The administration plans to budget a certain amount of overtime for each department, and agencies will be held to that budget — the first time in 15 years such a policy has been adopted, Walsh officials said. The new budget plan is “interesting in terms of recognizing there is a need for greater efficiencies and savings in order to generate some new revenue and initiatives. One approach is police and fire overtime,’’ said Tyler. The proposed budget would also save roughly $5 million by eliminating more than 100 vacant positions. The budget includes just over $1 billion in School Department spending. Increases to the public schools and charter schools are again main drivers of budget growth, with the School Department budget having increased more than $89 million in the three years Walsh has been in office, officials said. The school budget represents a $13.5 million increase over the previous fiscal year, an amount that could go up when the next round of collective bargaining agreements is negotiated, the document said. Still, that increase is not enough to keep up with rising health care costs and other expenses, meaning some schools may face cuts. Officials said they are hopeful the state will more fully fund charter school reimbursement, which would add revenue. The state’s charter school funding process calls for districts to be reimbursed for 100 percent of the funds lost to charter tuition in the first year that students leave the district and for 25 percent for the next five years. The mayor’s fiscal plan lays out other priorities. Walsh plans to add 15 fire engines and ladder trucks to the city’s force. The city would add 10 ambulances and about 20 EMTs to help reduce response times and would upgrade the 911 system. Other areas of focus include aid for the city’s homeless, with money for triage staff at the Pine Street Inn, rapid housing assistance, and additional emergency shelter for families. The fiscal plan does not include money to replace the Long Island Bridge, which had allowed the city to ferry people to a homeless shelter before it had to be demolished last year. Meghan Irons can be reached at meghan.irons@globe.com. Follow her on Twitter @MeghanIrons.